Our homegrown Khiladi #1 is clearly sharing Once Upon a time in Mumbai Dobarara producer Ekta Kapoor’s bad mood these days. After the movie lost out to Chennai Express at the box office, it seems the critics took care of whatever else was left, calling it ‘not even a one-time watch’. 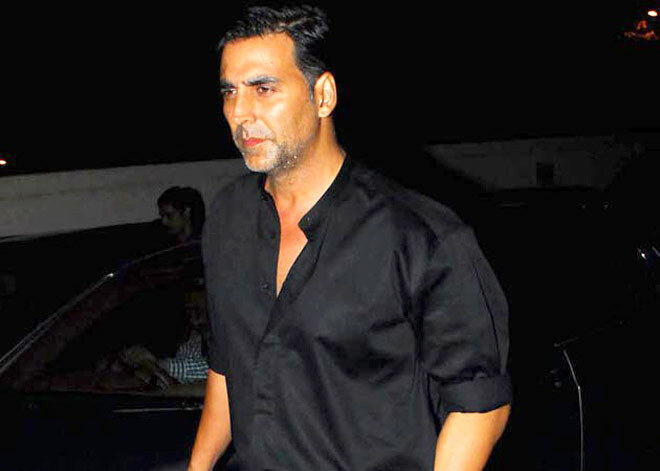 A fuming Akshay Kumar lashed out at the critics saying that the only opinion that matters is that of the audience watching the movie, and that the critics need to be writing about that rather than their own. He further added that ‘the audience is never wrong’. The rant continued with Akshay adding that most critics don’t know the basics of filmmaking which makes them unfit to understand what today’s smart audience appreciates. He added that he only respects those critics who write keeping the viewers in mind. But, why this late in the day Akshay? Could it have anything to do with the fact that Ekta Kapoor is none too happy with Akshay either, for allegedly not being present during the movies promotional activities? Or for that matter not taking a cue from King Khan himself, who continued to promote the movie days after it was released. One thing’s for sure, Akshay’s reaction came right around the time it was reported that Chennai Express is close to touching the Rs.200-crore mark in profits while presently resting at a whopping Rs.197 crore. Clearly a case of too many bitter lemons for Lemony Snickets.